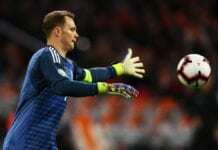 Germany kicked off their UEFA EURO 2020 qualifying campaign with an away victory against the Netherlands. Nico Schulz scored in the dying moments of the game to secure a 3-2 victory for the German national team at the Johan Cruyff Arena on Sunday night. The Germans had a 2-0 lead at half time, but Matthijs De Ligt and Memphis Depay levelled the score at the start of the second half. 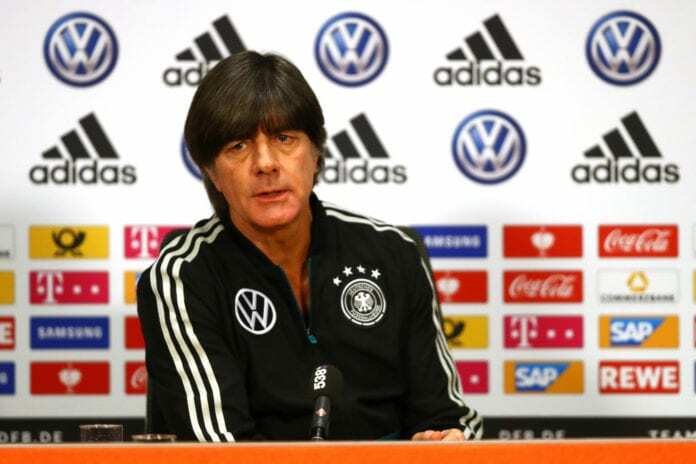 However, Joachim Low’s side won the game in the 90th minute, as the German manager said that his side was excellent in the first 45 minutes of the game, but not good enough after the break. “We really played well in the first half. Had the game under control, had good progress forward, in depth. We had a fully deserved lead at half time, as we managed to implement what we have discussed in training very, very well,” he said via dfb.de. “Nico’s pass for the first goal was outstanding, flat, as we had also discussed, while Sane’s finish was perfect. The goal for 2-1 came at a very bad time. We fought madly in the second half, but we didn’t have the control of the game anymore. “They attacked us from the start of the second half, and we lost the ball sometimes too easily. But that a part of the process, as my team is so young and inexperienced. Low is happy with the opening victory, but he is also aware that the Germans still have a lot of work to do to reach the top level in future. “To start the UEFA EURO 2020 qualifiers with a victory here in Holland is very good and will help us in the further process. Quiz: How deep is your knowledge about Manuel Neuer?